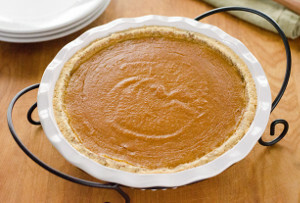 One of the most popular flavors to include in recipes of all types is pumpkin. 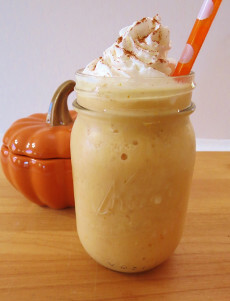 Pumpkin is typically a seasonal flavor, associated with the changing of the seasons and the coming cold weather. While sometimes the end of summer can be sad, we only need to remember all the wonderful things just around the corner. Crisp fall weather, scarves and sweaters, holidays, and more. And cooking with pumpkin is the perfect was to celebrate the arrival of all these important events. This collection of 56 Easy Pumpkin Recipes is everything you will need to cook with pumpkin this season. From your standard desserts like pies and cakes, to pumpkin pancakes and pumpkin chili, we've covered all of the bases. Use this list as your guide for venturing into the fall season. Bring on the pumpkin, and happy cooking! Love pumpkin? 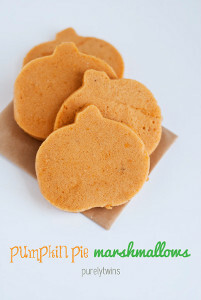 Then check out 17 Gluten Free Pumpkin Recipes Perfect for Halloween! Get your day off to the right start by incorporating pumpkin into your breakfast. 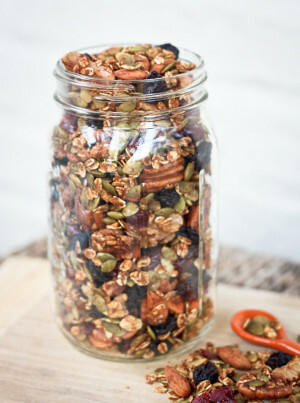 There is no end to the possibilities when it comes to spicing up your breakfast with fall flavors. 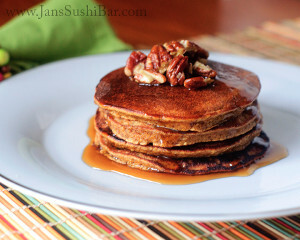 Don't miss out on the Pumpkin Pie Pancakes - you won't be able to get enough of this tasty breakfast meal! As the weather cools down, warmer drinks with fall-associated flavors become more and more popular. But instead of spending money to have someone else make these drinks for you, just use these recipes to make your own fall-flavored drinks! And since pumpkin is clearly the king of fall flavors, here are a few pumpkin-flavored beverages. They are the perfect way to welcome in the cooler weather, and the best part is that you don't even have to leave your house to enjoy them. Change up your usual snack and throw a bit of pumpkin in there. Adding pumpkin to your soup or to your typical bag of trail mix can only be a good thing. And these easy pumpkin recipes make it so simple to add a new flavor to the everyday snacks you already eat. So what are you waiting for? Time to spice up your snacks with pumpkin! Arguably one of the best ways to consume pumpkin is by putting it in bread. Pumpkin bread is famously soft and moist, and that hint of pumpkin flavor makes it ten times better than a regular old loaf. These gluten free bread recipes combine pumpkin and bread in masterful ways. Try all of these recipes and see which one is your favorite! 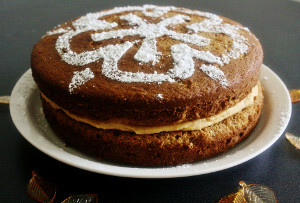 Everyone always associates pumpkin with dessert recipes. And it's true that pumpkin in desserts is a fantastic combination. But what about the rest of the day? These easy pumpkin main dish recipes are the perfect way to incorporate pumpkin into the rest of your meals. All of these recipes feature pumpkin as a main ingredient and can be served for dinner, lunch, or as a side. 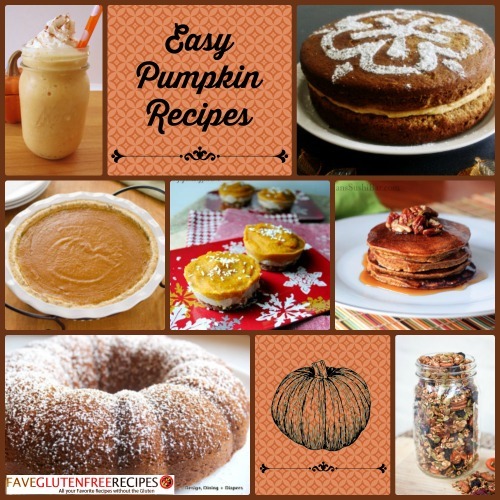 Mix up your usual pumpkin routine with these appealing recipes! There's nothing more satisfying than pulling a delicious and tastefully decorated dessert out of the kitchen and placing it on the table in front of friends and family. Sharing your culinary creations is half the fun of baking! 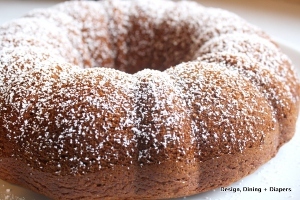 With these easy pumpkin recipes for cakes and pies, you have several dessert options to go through. Your friends and family will be so impressed with your baking prowess, you will forever be renowned for your delicious desserts! Want more dessert recipes? Then don't miss our free eCookbook, Delicious Gluten Free Desserts: 7 Gluten Free Pie Recipes! Cookies and bars are easily the best dessert to share with a group. The next time you have a party to go to, pull out one of these easy pumpkin recipes and share it with your friends. And since all of these bars and cookies have pumpkin in them, these recipes are all perfect for any holiday party. There's nothing better than a sweet little treat that you can pop right into your mouth. These easy bite-sized pumpkin recipes are the perfect way to satisfy a sweet tooth without over-indulging. From donuts and tarts to balls and bites, you have every variation of tiny treat waiting for you. 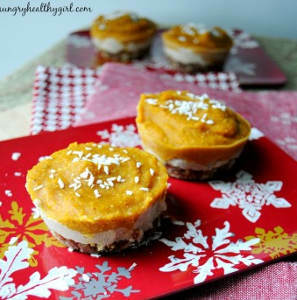 Don't miss out on the No Bake Mini Pumpkin Tarts. Not only are they delicious, but they are made without an oven, which means your tarts are ready to enjoy in a matter of minutes!